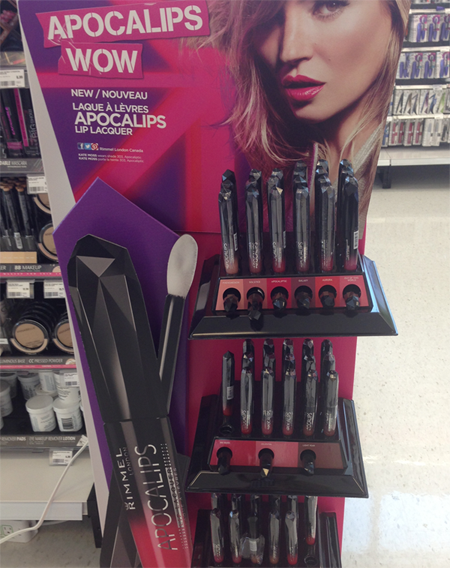 Canadian Fascination: Rimmel Apocalips Have Landed in Canada! Rimmel Apocalips Have Landed in Canada! Along with most of you beauty addicts, I had heard of the Rimmel Apocalips Lip Lacquers a long long time ago. When they were first released in the UK beauty bloggers across the pond couldn't rave more about these lipstick/lip gloss combinations. They were basically dubbed perfection by every beauty blogger out there. I couldn't wait to get my hands on them. Sadly, I had no choice. They were released in the US just over a month ago as the Rimmel "Show Offs". We finally have them here in Canada! And I am so glad that they are labelled as Apocalips (best name ever!). I only hope that they live up to the hype. When the fateful day comes and the zombie apocalypse hits, I am taking these babies and running. I spotted these beauties on a display at my local Real Canadian Superstore (owned by Loblaws, so I would check there as well). I have also heard that they are available at Rexall but I don't have a Rexall near me. I have checked my local Shoppers Drugmart and Walmart but haven't seen a trace of them yet. I'm sure they will begin to roll out to all stores in the next few months. I am very glad I found them at Superstore though. They were on sale for $7.97 and they were having a no tax sale this weekend so I got a great deal. I believe the Apocalips are regular priced at $9.99 at Superstore. 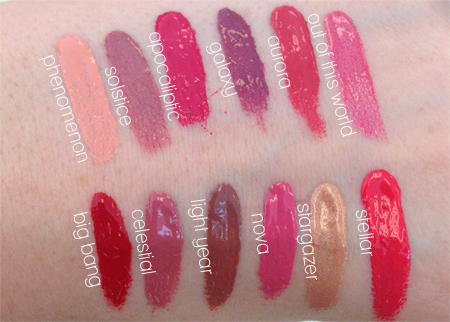 I personally only picked up three shades (I am so proud of my level of self control) but I swatched all twelve shades for the blog. There are 8 shades available in the UK and 14 shades available in the US. I was kind of bummed out that we didn't have the shade Luna, which is a beautiful natural peach colour that I really wanted. Now looking at the swatch for Phenomonon (which hasn't been released in the UK or US) I think it may be the same colour just re-named. 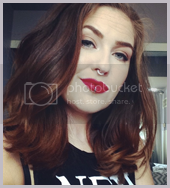 But it still does look lighter. I'll have to do some further investigating about that. Most of the shades are cream shades, while galaxy, out of this world, light year and stargazer have shimmer. Anyway, I just wanted to let you guys know that they have landed in Canada. I am going to test out the three colours I picked up and post a review later on this week. Happy shopping!